A bright afternoon saw me pop down to my ‘local’ at North Cliffe Wood to see how the new heathland pond was coming along. 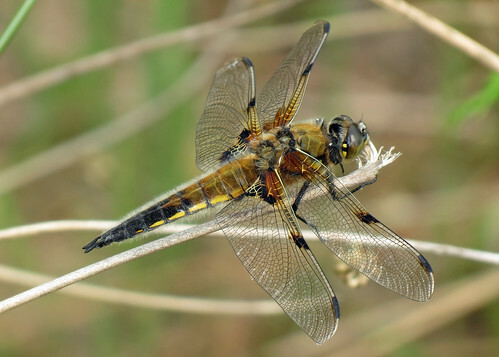 It was great to see plenty of activity on the Odonata front, with lots of territorial jostling going on between the Four-spotted Chasers Libellula quadrimaculata. These are currently the only large species on the wing here, though things will soon start to hot up as the big beast begin to emerge. 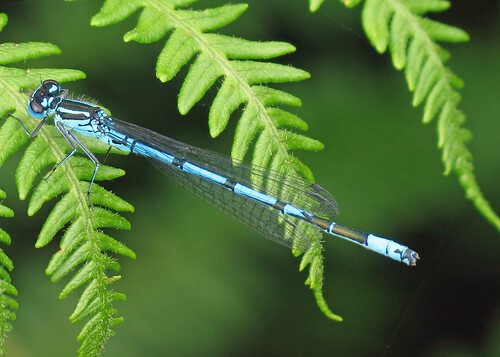 There were good numbers of damselflies present, Azure Damselfly Coenagrion puella being the dominant species, with lesser numbers of Large Red Damselfly Pyrrhosoma nymphula and Blue-tailed Damselfly Ischnura elegans. 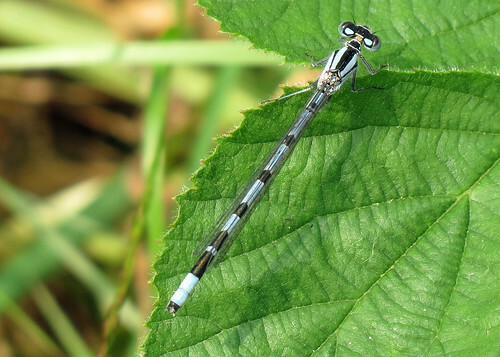 A few Common Blue Damselflies Enallagma cyathigerum were present, but all were immatures found well away from the pond. Good to see a diverse population of species developing at this site. As with other recent locations, butterflies were low in number with only singles of Green-veined White Pieris napi, Brimstone Gonepteryx rhamni, Speckled Wood Pararge aegeria and Small Copper Lycaena phlaeas observed. 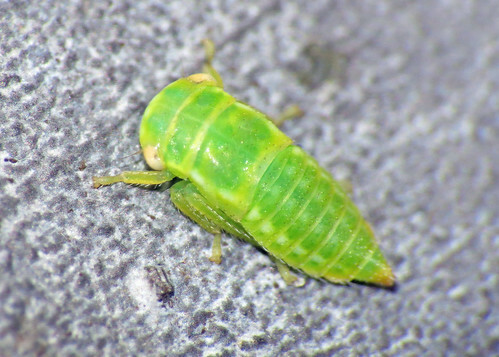 Hopefully things should slowly improve when the summer species start to emerge. The next set of photographs embrace my ever-increasing interest in to some of our smaller invertebrate species, which has been boosted by the use of a macro lens. When I look back on my interest in natural history, I’m amazed by how much I’ve just passed by, and not even noticed, even when I thought I’d been looking. 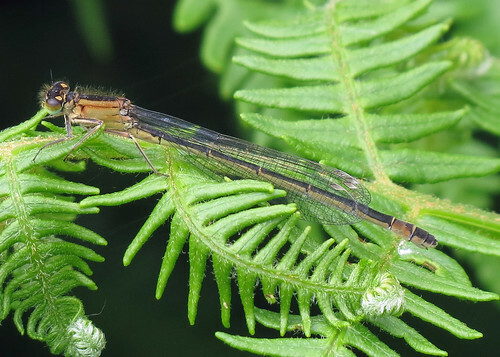 Most of these are probably common, though have been overlooked on previous visits. 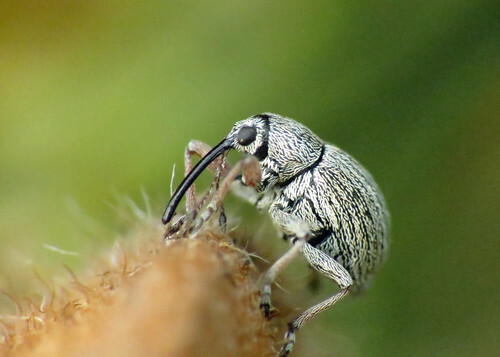 First off is an Acorn Weevil Curculio glandium, which uses its long rostrum to bore a hole in to developing acorns where it deposits its egg. 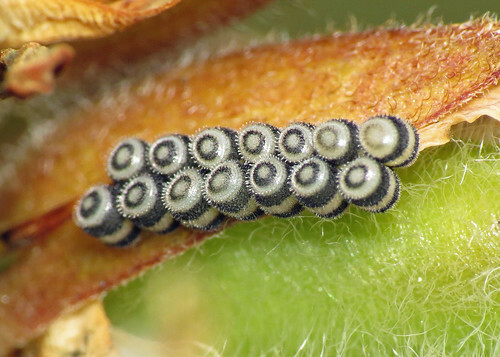 The hole heals over as the acorn grows and the larvae develop inside, eventually boring their way out, where they will then fall to the ground and pupate in the soil. 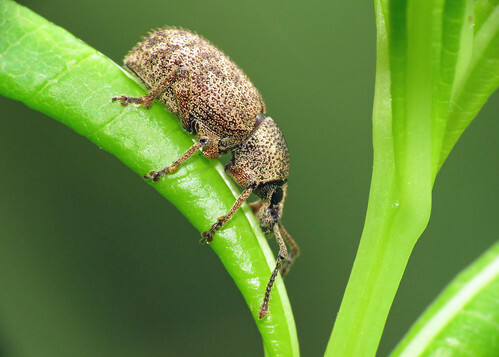 Next was a species I was introduced to at Tophill Low, on Gorse, a small insect around 2.5mm in length, Gorse Weevil Exapion ulicis. This proved to be quite a challenge to photograph, especially as a tripod wasn’t used to steady the camera. 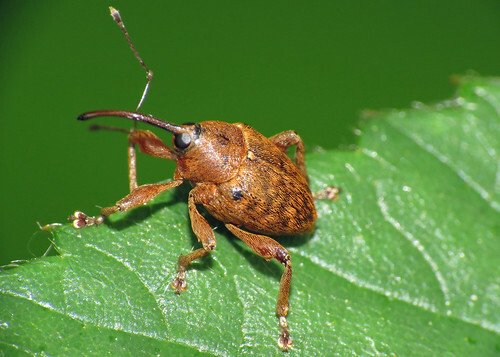 Another species was also photographed, around 7mm in length, and remains unidentified. 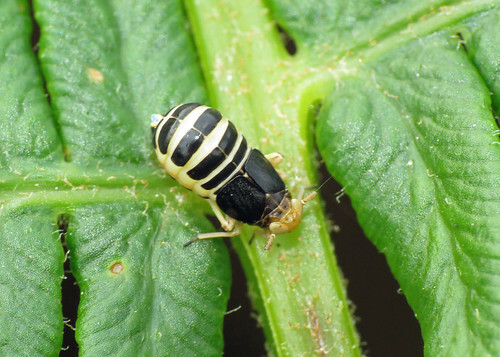 Moving away from this genera a few ‘true bugs’ were also encountered, along with evidence of another species presence. 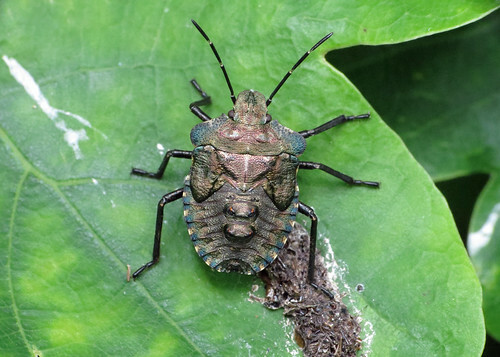 A final instar Red-legged Shieldbug Pentatoma rufipes (Forest Shieldbug) was found on an Oak tree, and several eggs of Gorse Shieldbug Piezodorus lituratus were found on a Gorse flower bud. Even smaller still were a Leafhopper Iassus lanio nymph and Planthopper Ditropis pteridis, the later apparently being common on Bracken.